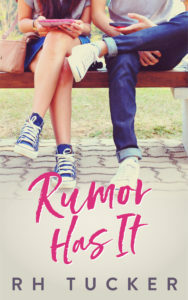 The Rumor Has It series is a YA/NA contemporary, stand-alone series. While the books are told in chronological order and are interlinked, you can read each one as a stand-alone. There are slight spoilers, just because you do learn about previous main characters, but nothing that would detract from reading the books out of order. THIS IS EXCLUSIVE TO NEWSLETTER SUBSCRIBERS. 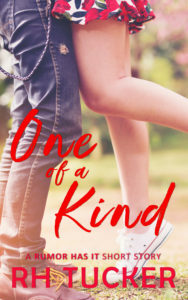 One of a Kind is a short story, based in the Rumor Has It series. It takes place before Book 1, but offers no spoilers and is a complete, stand-alone story. Carter Dixon deals with rumors every day. That’s the way he likes it. 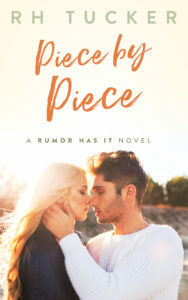 One little hookup, combined with a bathroom scandal during his homecoming dance, sent the rumor mill into overdrive. Now he’s The Man. At least, as far as everyone believes. Who cares if he’s not really what everyone thinks. But when he accidentally texts the wrong person, he starts to wish he’d never let the rumor mill run rampant. Emma Sanchez couldn’t care less about high school drama. Senior year is halfway over, and she’s only focused on applying to a good art school, graduating, and not getting involved. Okay, there is the occasional boy talk with her best friend. Then she gets a text message from an unknown number and starts to think maybe there is a guy out there, unlike every other high school boy. Especially guys like Carter Dixon. One wrong number can lead to the right person. Matt Hillard has the ultimate resume. Not only is he senior class president, but he’s an all-star varsity wide-receiver and this year’s homecoming king. There’s also the fact that he’s a cosplaying nerd, but that’s need to know information. And no one needs to know. Izzy Jacobs is Woodbridge High’s resident YouTube star. Her channel, touting over 30k subscribers, covers all things nerd: hot anime guys, summer Marvel movies, and the latest graphic novels. She’s a nerd, and she loves it. When she learns President McHottie, Matt Hillard, is actually President McNerd, the sparks fly. Being true to yourself is just the beginning. High school is finally over for Lucas Mitchell, and it couldn’t come fast enough. His neighbor and former best friend hasn’t wanted anything to do with him since freshman year. Maybe now that he won’t have to see her every day, he can finally move on. Maybe he can finally convince himself that he hasn’t been in love with her since the third grade. Maybe. Jen Harris went through four years of high school boys, never once wanting to give her heart to any of them. Why would she, when Lucas Mitchell broke it four years ago? Then, she makes one bad decision: she trusts someone with her heart. Now she remembers why she’s kept her walls up for so long. Because trusting people only leads to heartbreak. 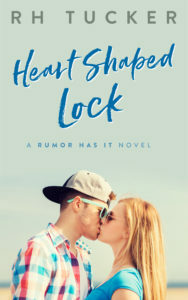 Heart Shaped Lock is the third book in the Rumor Has It series. The books are told in chronological order, but all books can be read as a standalone. Natalie Frazier might not be the most popular girl at Woodbridge High, but she’s definitely on the first rung. She’s also on her way to being class valedictorian and she just made prom court, so who knows? Maybe she’ll be able to add prom queen to her high school resume before she heads off to college. Sam Patterson is the prototypical nerd. Glasses, talks about sci-fi shows and comic books with his friends, and runs debate and chess club. As the saying goes, if you looked up the definition of a nerd his picture would be there. And now he can add another checkmark to his high school biography: senior prom court joke vote. When the prom court is announced, everyone knows who the joke votes are for the guys and the girls. And everyone knows the joke votes are always paired together. Except this year they’re not. Sam gets paired up with Natalie, much to both of their surprise. Now they have to survive one week as a prom court couple. That’s if they can survive each other. 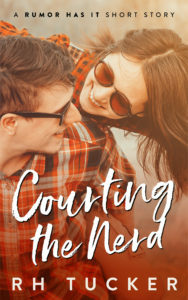 Courting the Nerd is a Rumor Has It short story that takes place in the middle of True to You. 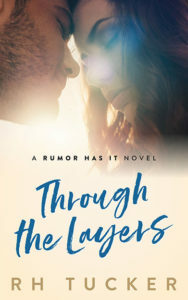 It can be read as a stand-alone, but there are spoilers for what happens in True to You. If you don’t want spoilers, it is recommended you read True to You BEFORE reading Courting the Nerd. the Rumor Has It series deals with mature themes and situations.